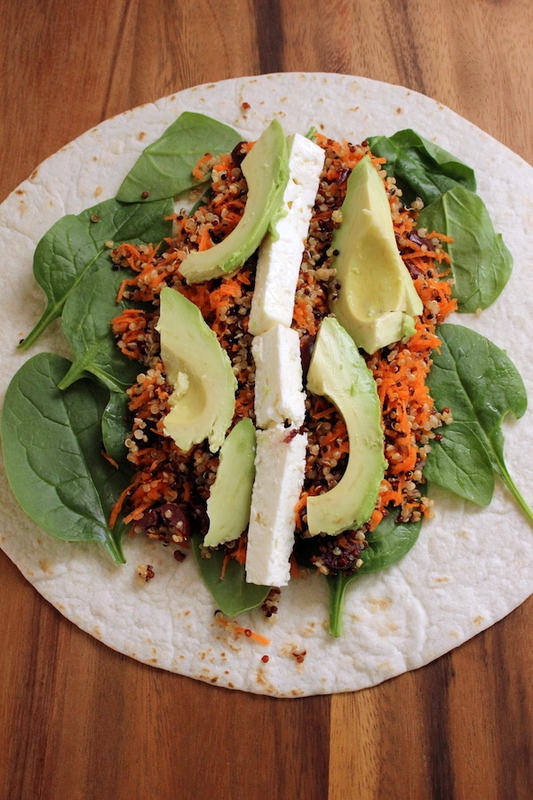 This is an easy and delicious quinoa wrap. I had a little left over quinoa from yesterday’s quinoa and lentil salad so I made this wrap for lunch today. It’s easy, tasty and fast to put together – just what you need when you have to whip something up in the morning to bring to work for lunch. I lined the tortilla with spinach leaves before I added the quinoa and other ingredients. This kept the tortilla from becoming soggy in any way. Quinoa is so versatile, it’s good to have some on hand cooked and ready to eat. 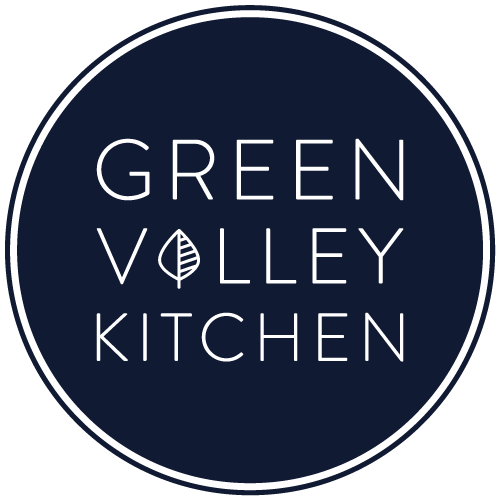 Either cook up a batch at the beginning of the week and keep it in the refrigerator so you have it ready to add to salads or wraps. Or, if you make a quinoa salad, cook a little extra so you can use it another way the next day. Next time I’ll add some sunflower seeds for a little crunch – if you have them handy, add them in. Try a spinach tortilla or lavash bread – either one would work really well with this recipe. 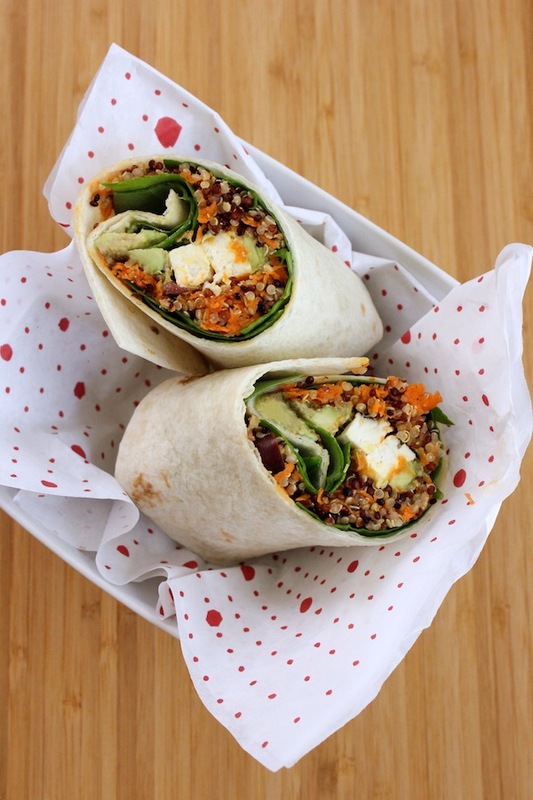 A quick and easy wrap with quinoa, avocado, spinach and feta. A healthy and tasty lunch. Add cooked quinoa, grated carrots and minced olives to a bowl and stir to combine. Add a layer of spinach leaves to the tortilla. Add quinoa, carrot and olives mixture over spinach leaves. Add feta over quinoa in a line down the middle of the tortilla. Add slices of avocado on either side of feta. Fold bottom ends in first. Roll wrap up and slice in half. This is more than easy to make, really delicious . Great tip…lining the tortilla with spinach leaves. Yes – the spinach helps the tortilla from getting soggy! Thanks for leaving a comment and a rating! Hope you enjoy it, Brandie!